With the Fall season in full swing, it’s time to start putting away all your summer clothes, except for your denim! Now you may be wondering what is summer denim? I define summer denim as lighter washes, heavily ripped, and baggy/looser fits. My summer denim consists of my ripped tom girl jeans from American Eagle. 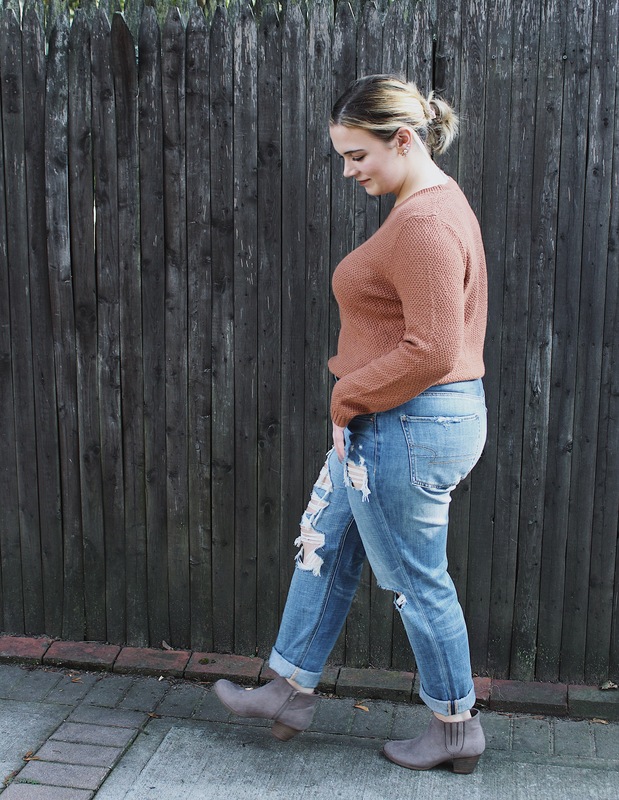 In this post, I’m going to share my tips on How To Transfer Summer Denim Into Fall. (These tips apply for all summer denim, but because I wore a tom girl jean these tips are on the topic of that). Mix your colors. 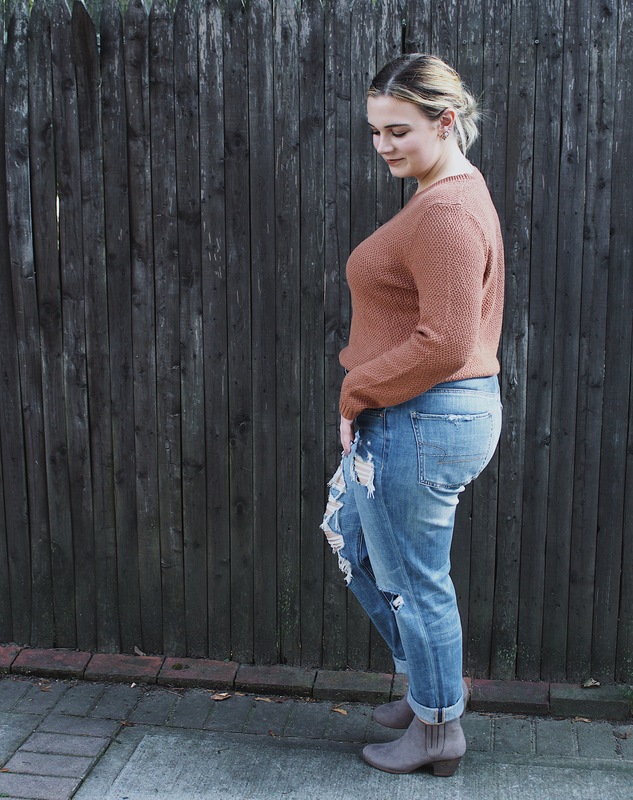 I paired this burnt orange sweater with my true medium washed denim, and gray booties, with a dark brown belt. The trick is to mix colors that represent the Fall season. Show the ankle. Don’t forget to cuff those jeans! I am someone who believes all, boyfriend, girlfriend and tom girl jeans should absolutely always be cuffed. They look better cuffed also to show the detail on the bootie. Do a solid sweater. With all the rips on my jeans, I always like to wear a solid shirt otherwise the outfit gets too busy. 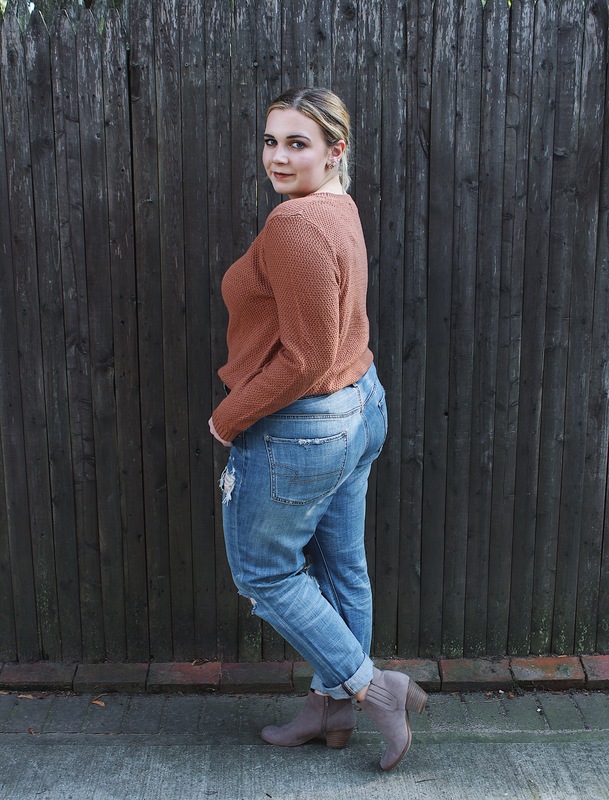 Tuck in your sweater to get the full effect of the jeans. 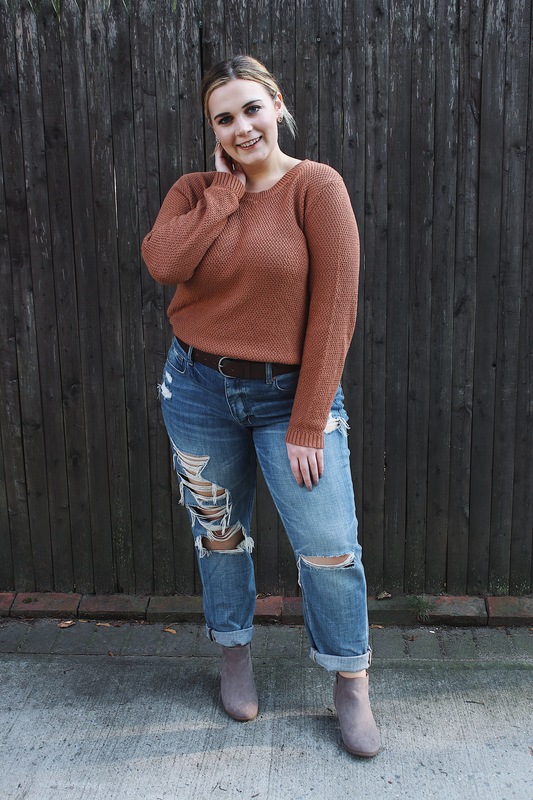 I usually wear only high waisted jeans so I always tuck in my shirts, but I think especially for a baggier jean it is important to tuck in your shirt so you don’t lose the shape of your waist. Those are my 4 easy tips on How To Transfer Summer Denim Into Fall! I hope you enjoyed this post and hopefully these tips help you! Think twice before putting away your summer denim!